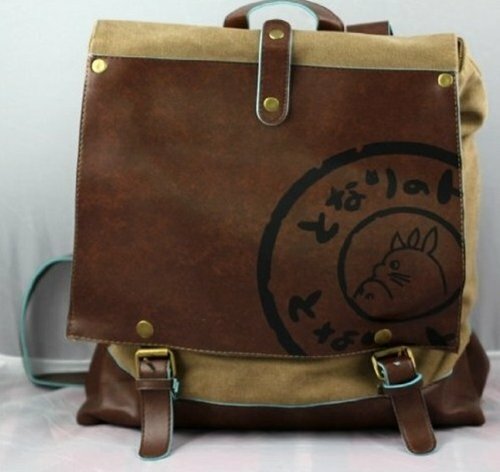 Home » Clothes and Cosplay » Totoro Canvas Bag- The Perfect Accessory for ANY Occasion! 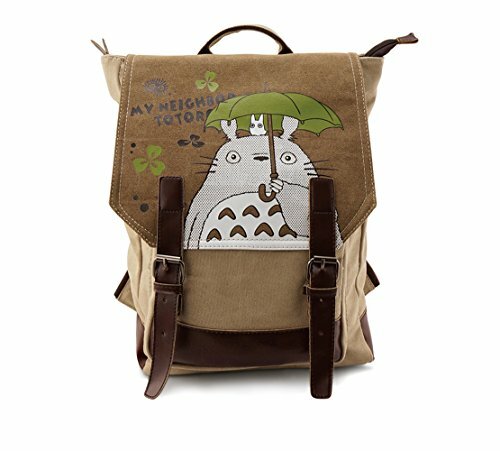 I just got this fun new Totoro Canvas Bag, and I LOVE IT!!! 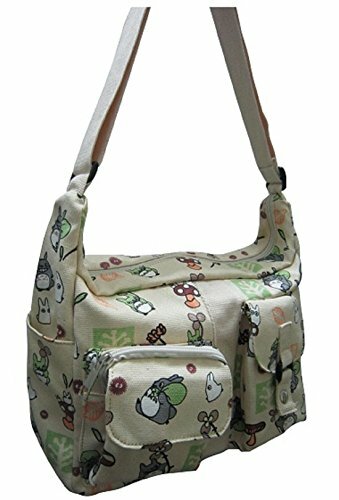 I had been searching for a bag for a while, something casual and easy to carry. Totoro, the Spirit of the Forest. 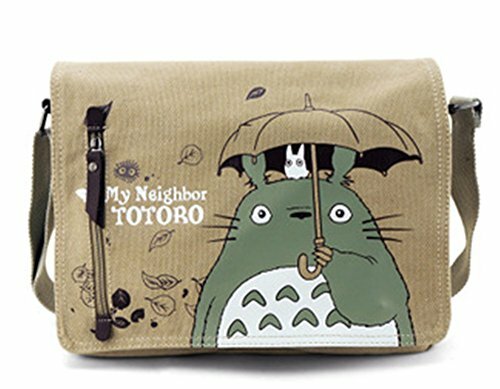 is my favorite Studio Ghibli character, and when I came across these, I HAD to get a bag with him on it. 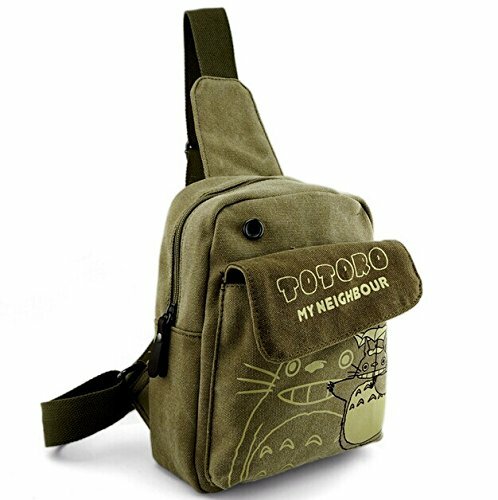 If you love Anime and the films of Hayao Miyazaki you will love these bags. Some are simple, and can blend in anywhere…. others are perfect for Cosplay. Which is the right Bag for YOU? 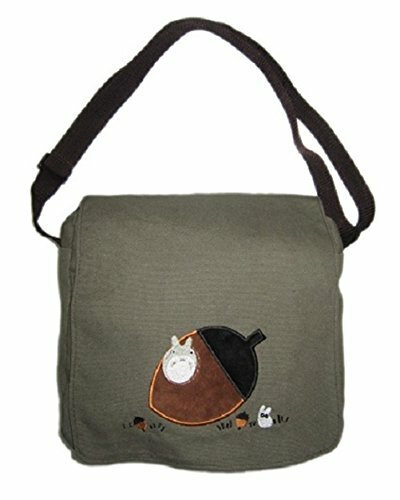 4 Which Totoro Canvas Bag is your favorite? 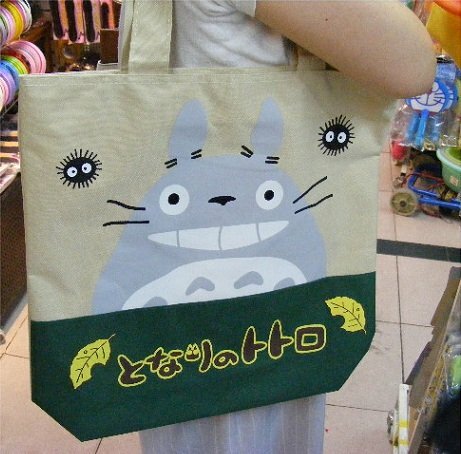 This is the Totoro canvas bag I chose. 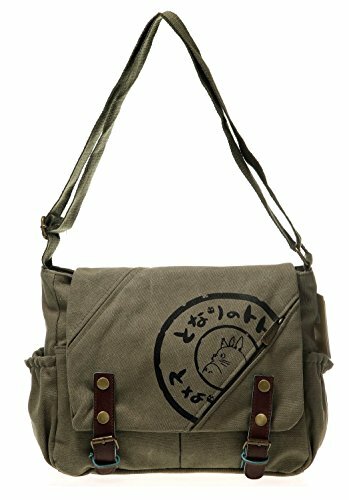 It’s a grey/green canvas with brown leather trim, buckles and handles. For an added pop of color, the leather is trimmed with a bright blue trim. I spend most of my days in jeans, and this bag is perfect for my casual style. You can hold the bag by the handles or attach the shoulder strap. (I tend to use the shoulder strap). The bag is big enough to carry all of the stuff you need everyday… wallet, brush, makeup, and sunglasses. There is even enough room for a book, a bottle of water and a snack. I like the shoulder strap, but the handles are big enough to toss over my shoulder. With that Cute Totoro Smile! 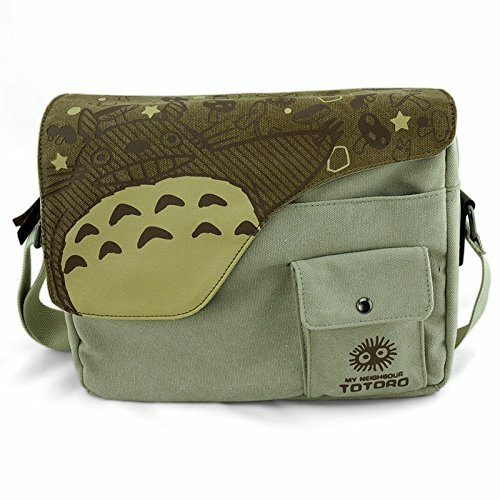 This fun green canvas Messenger Bag has a big Acorn and a little Totoro on the flap. 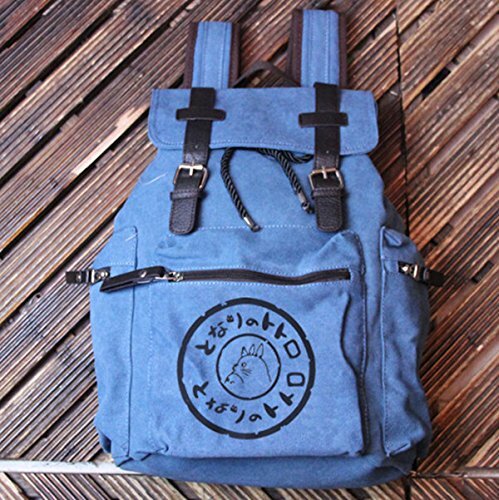 This bag is so cute!!! The bag has 2 fairly roomy main compartments, big enough for your stuff. A zipper closure keeps your valuables safe. It’s covered by a flap held in place with a magnet closure. And I love the little inside… perfect for phones! You can adjust the length of the shoulder strap, so you can wear it close in or hang it down at your hip. I love a bag that can hang across my chest… so I’m not constantly pulling it back onto my shoulder. This blue high quality canvas Handbag is trimmed with blue leather. The pouch zips at the top, and folds over. There are smaller pockets inside that close with zippers. Carry the bag as a handbag, or slip it over your shoulders. The bag is a good size, perfect for carrying all of your stuff. You can even toss in a sketchbook or an ipad. 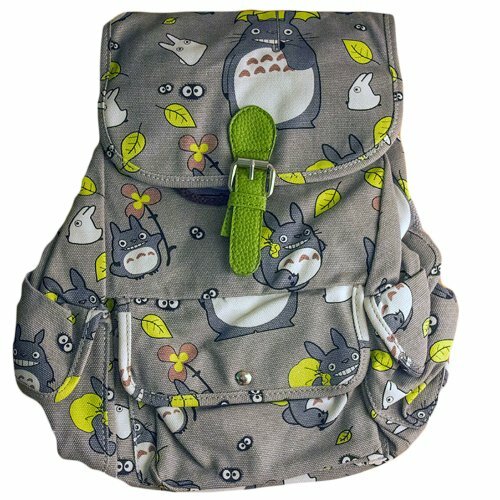 The bag is lined with an adorable Totoro print. 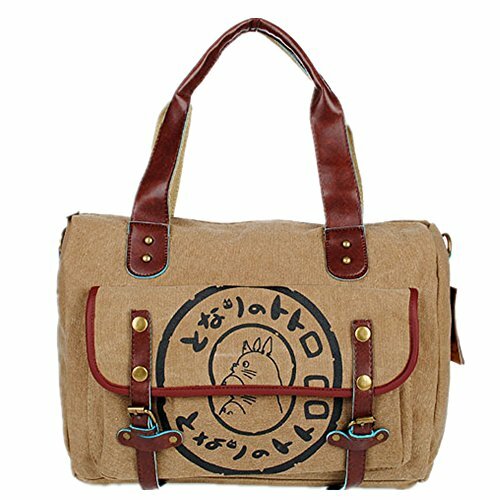 Which Totoro Canvas Bag is your favorite? 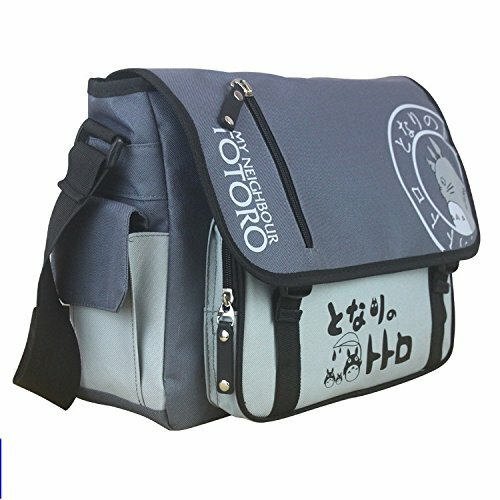 Looking for other Studio Ghibli Bags? ?